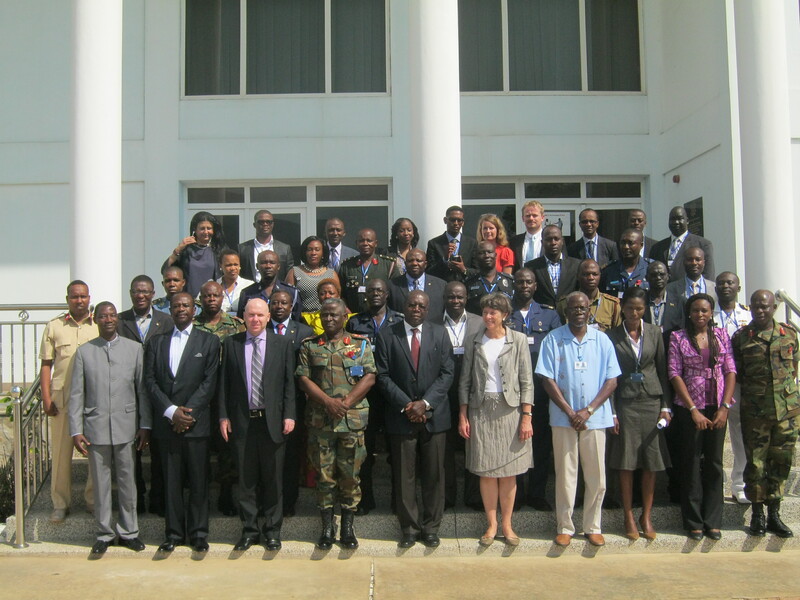 In November 2014, the Kofi Annan International Peacekeeping Training Centre (KAIPTC) in association with Global Centre and the government of Denmark launched a course on R2P aimed at African practitioners from the security sector, including national police and military, UN peacekeepers, government officials from foreign and interior ministries and civil society activists. The course on R2P will now be held annually at KAIPTC. The aim of the course was to train participants in implementing and incorporating an R2P focus into their day-to-day work. In addition to providing the conceptual and legal understanding of R2P, the course aimed at enabling participants to be R2P advocates within their roles as protectors and policymakers. The course included modules that had an operational focus. Discussions centered on what it means to implement R2P in a national context and within UN and African Union peacekeeping missions. A collaborative problem-based learning approach was used in the delivery of the course. A combination of tools such as lectures, case studies, small group work exercises, Q&A and simulation sessions were used to illustrate and clarify the concept of the Responsibility to Protect under the guidance of a team of experienced facilitators. Senior military and police representatives from over 20 countries, including Benin, Cameroon, Côte d'Ivoire, Democratic Republic of the Congo, Ghana, Kenya, Mali, Nigeria, Somalia, South Sudan, Sudan and Tanzania, participated in the 2014 pilot course. A second course was held in November 2015.
a. The Foundations and Evolution of R2P. b. Normative and Legal Foundations. c. R2P and Africa: National, Transnational, Regional and Continental Arrangements and Practice. d. R2P, Prevention and Early Warning. e. R2P Issues, Controversies and Challenges.